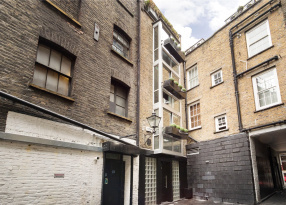 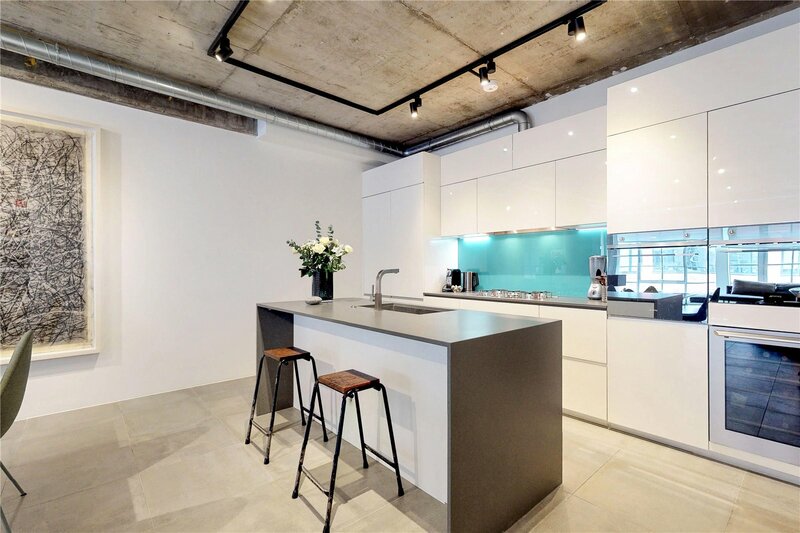 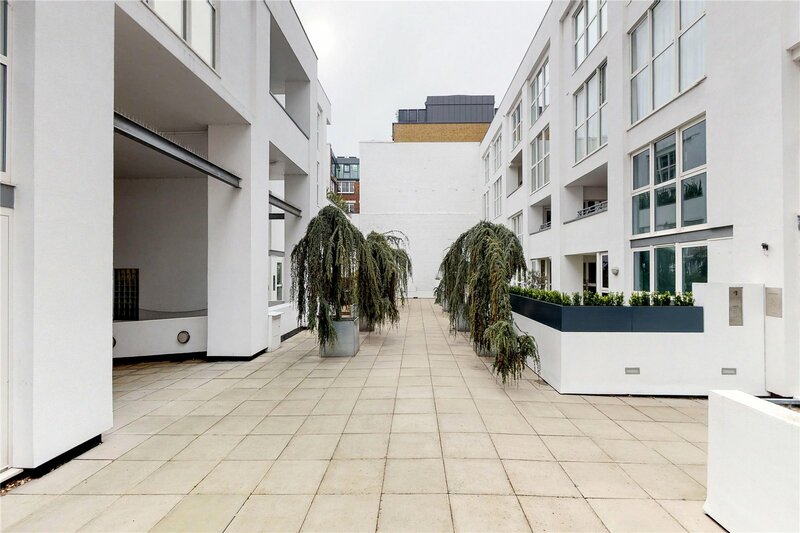 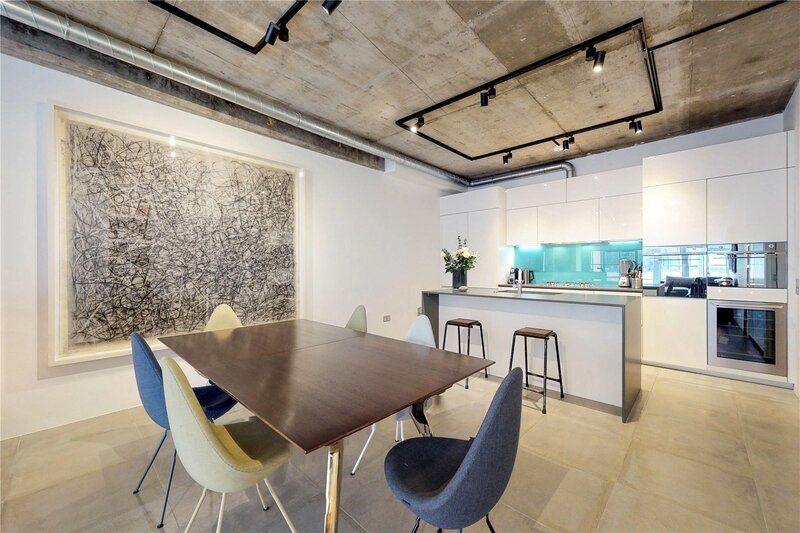 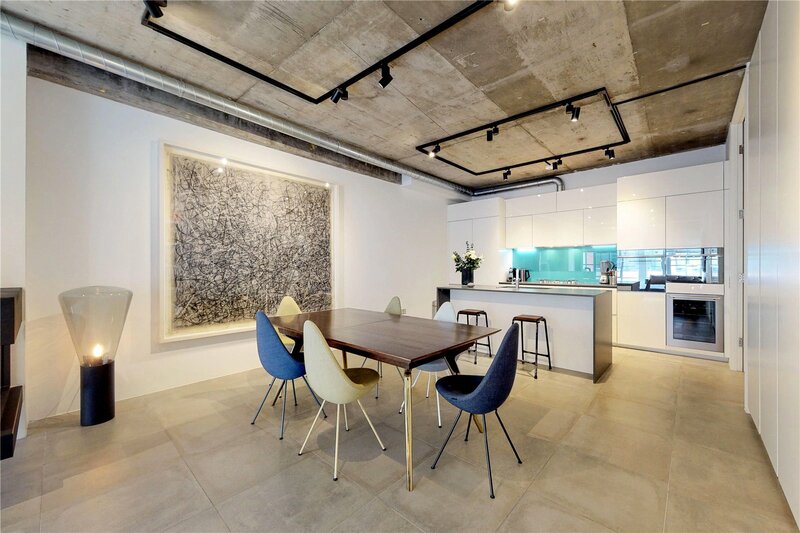 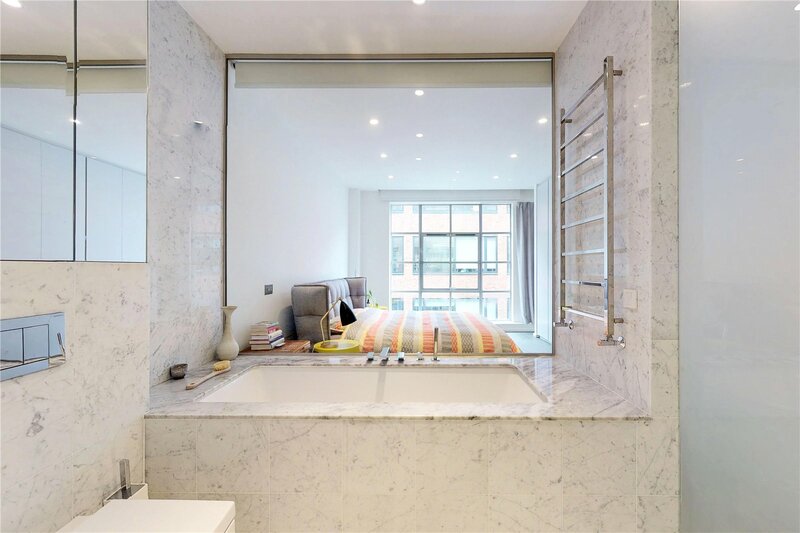 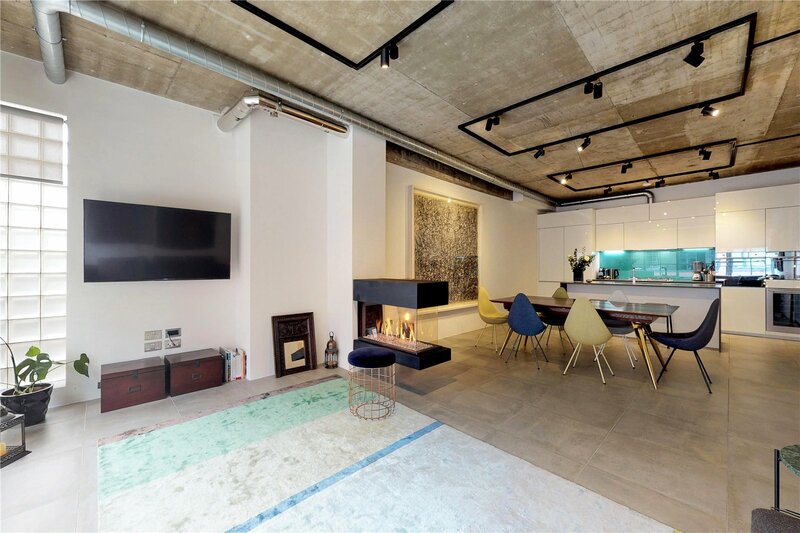 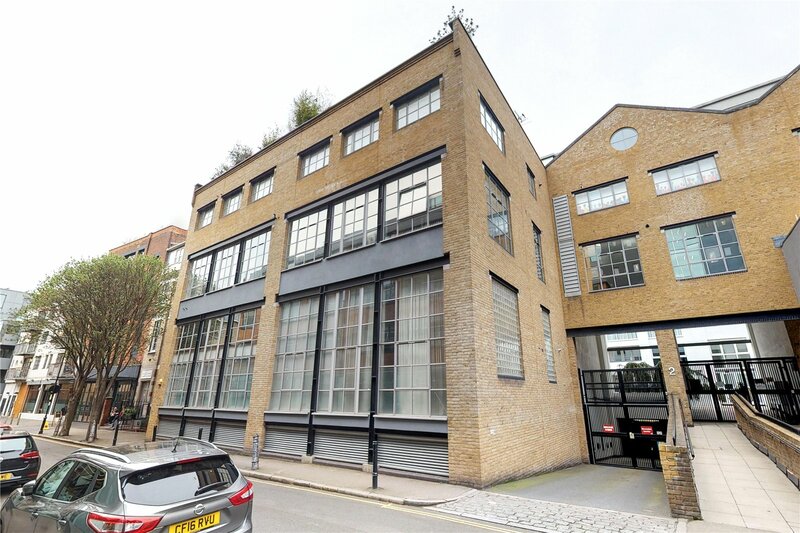 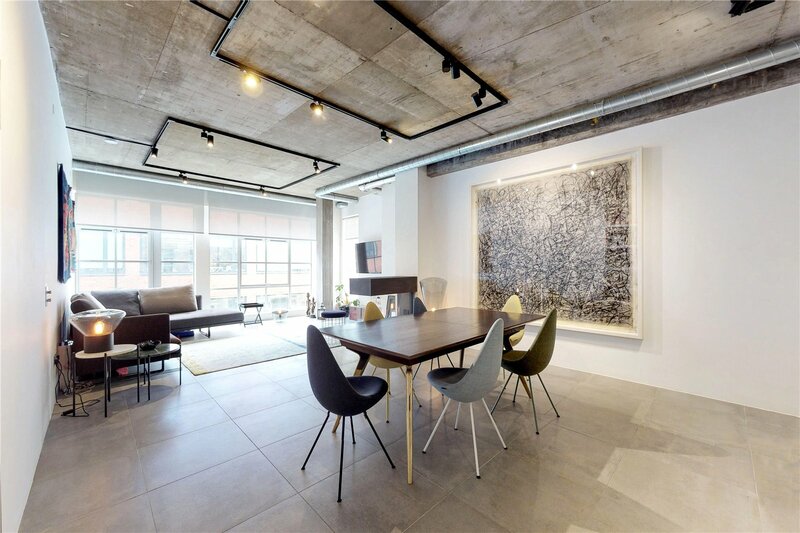 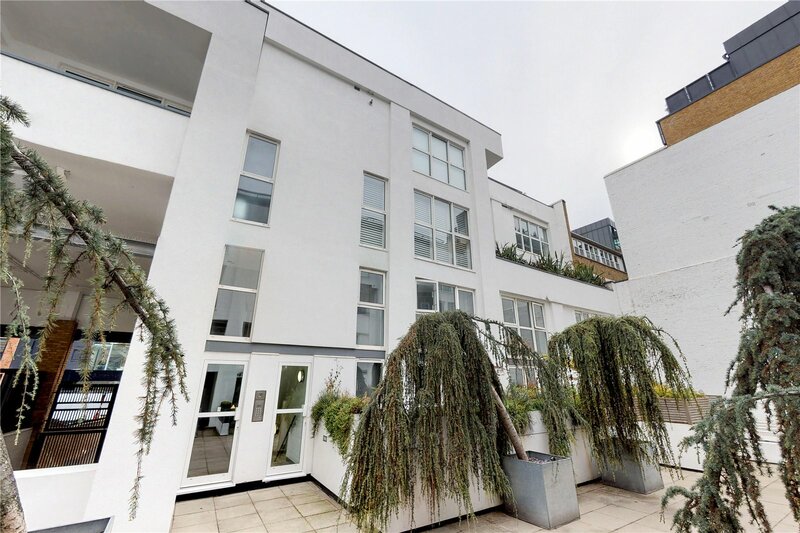 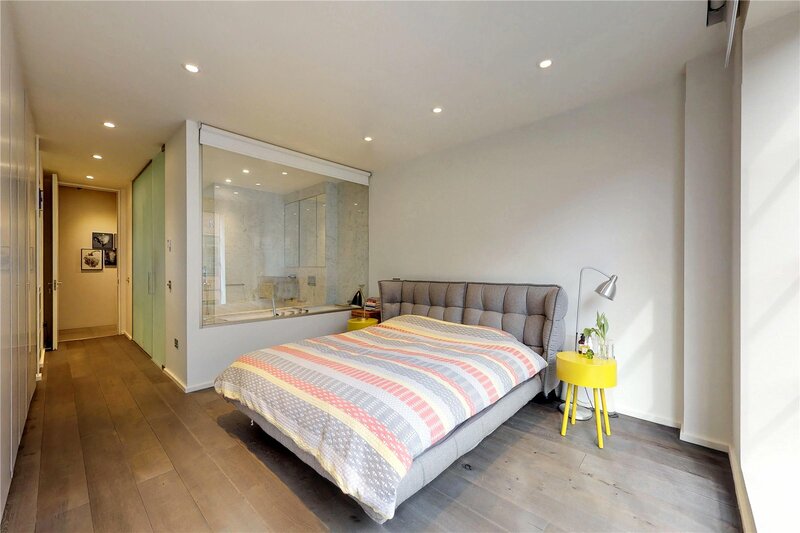 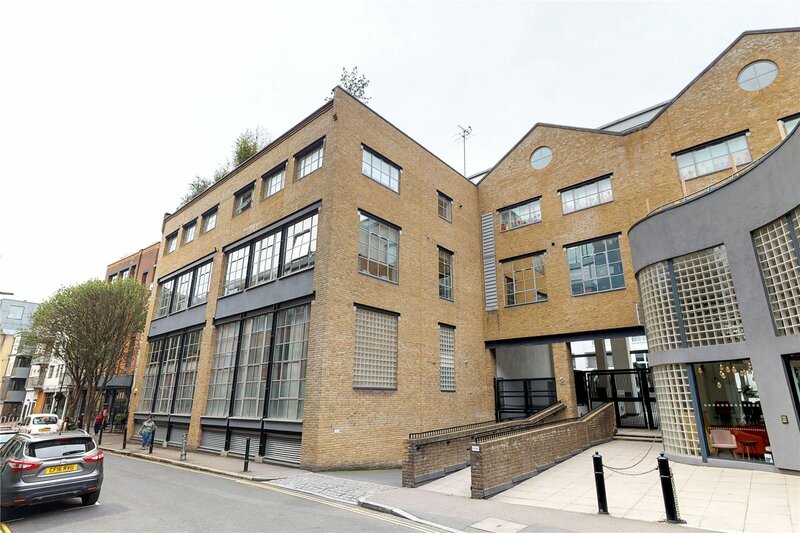 Set with the highly desirable Enclave Court on Dallington Street, this luxurious one bedroom apartment sits in the heart of Clerkenwell. 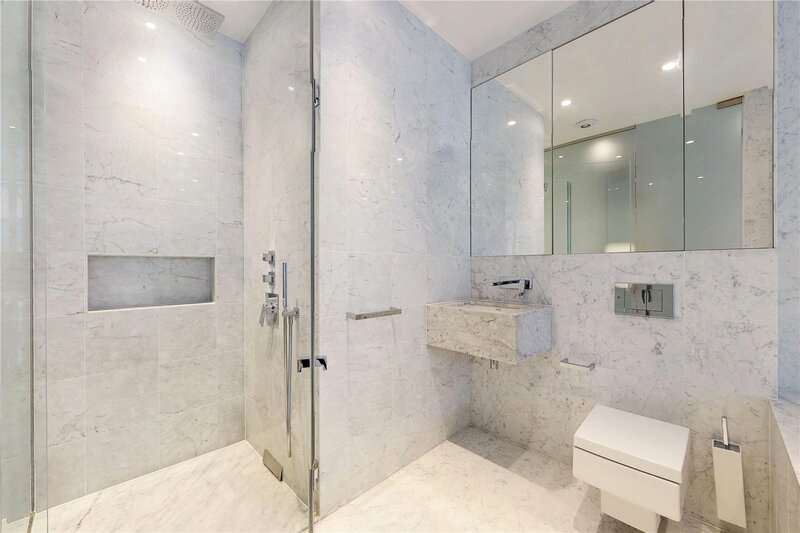 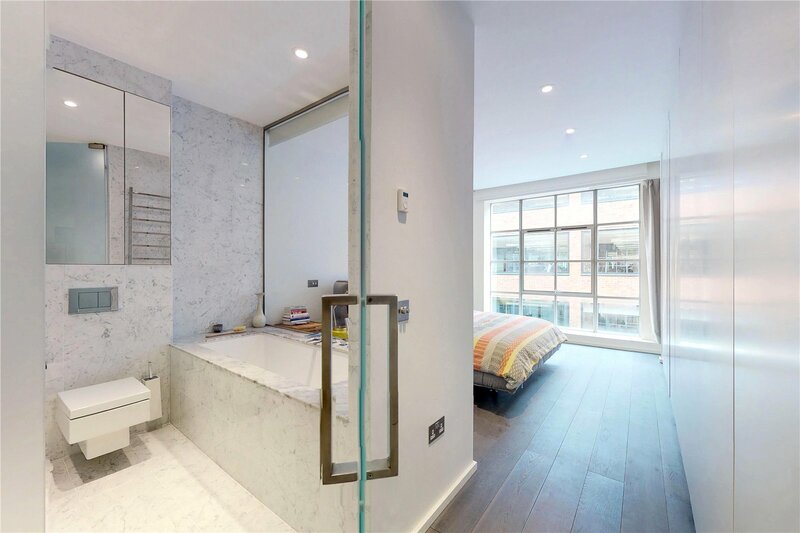 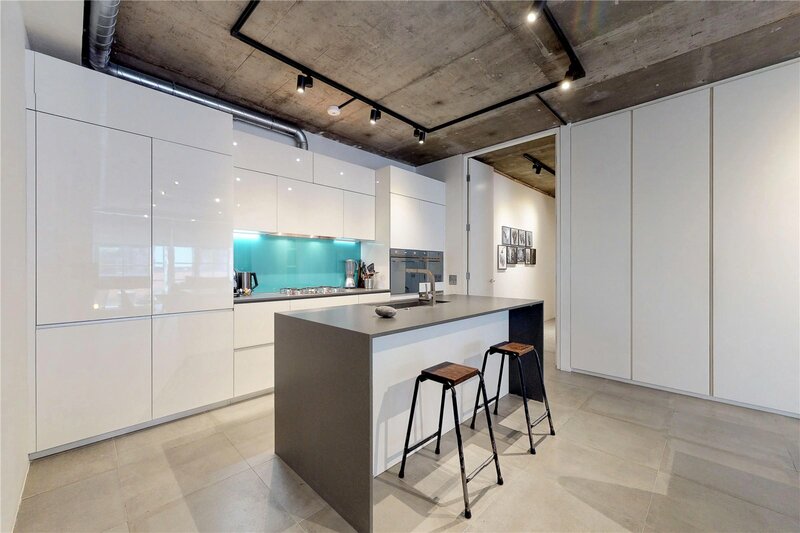 Totalling in excess of 1,000 square feet, the level of finish in this stunning apartment is uncompromising. 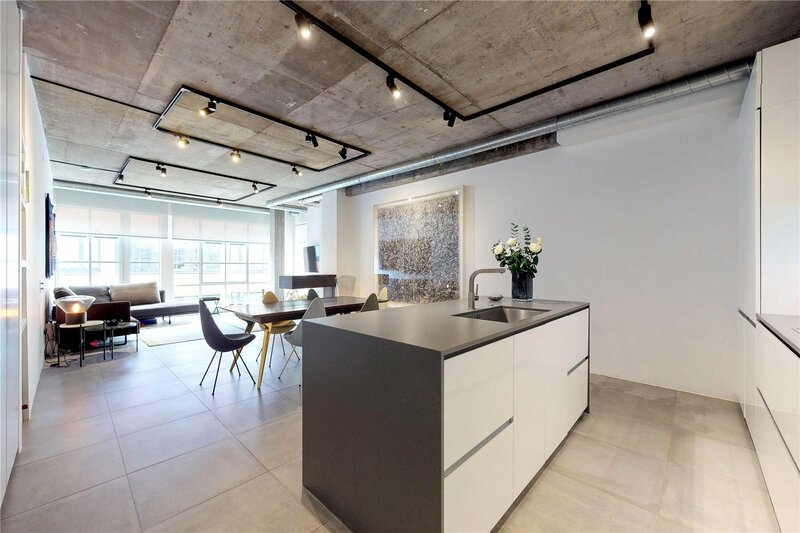 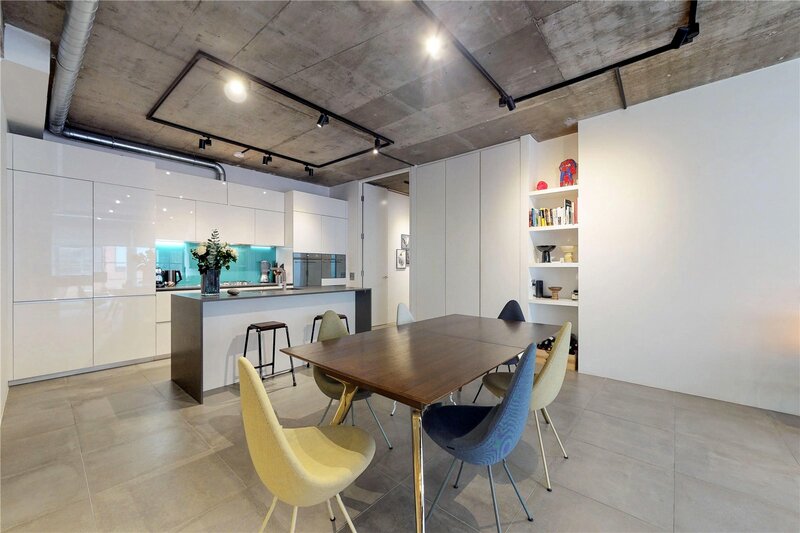 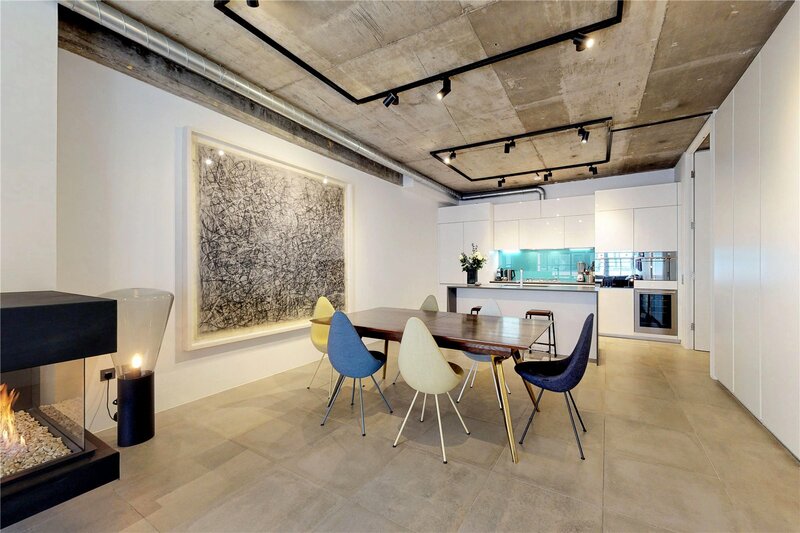 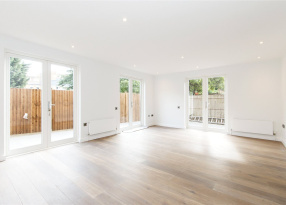 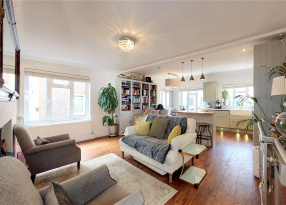 With a larger than average open-plan reception, dinning, and kitchen space the flat is ideal for entertaining. 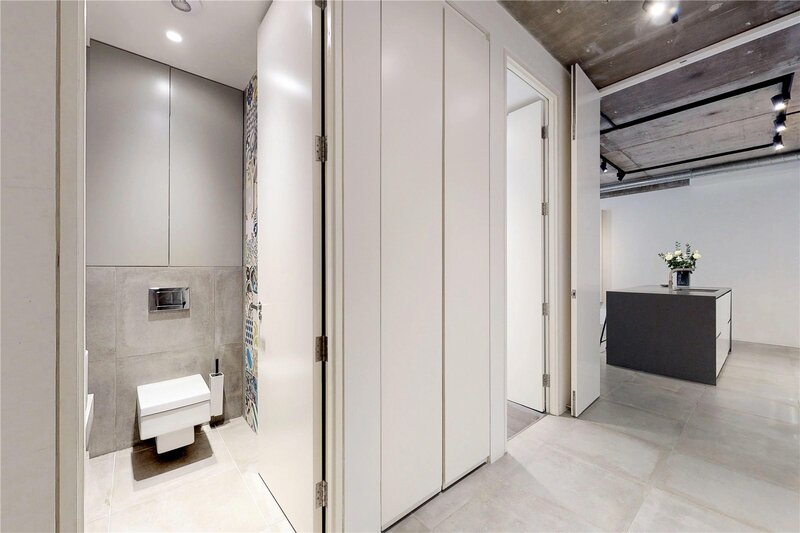 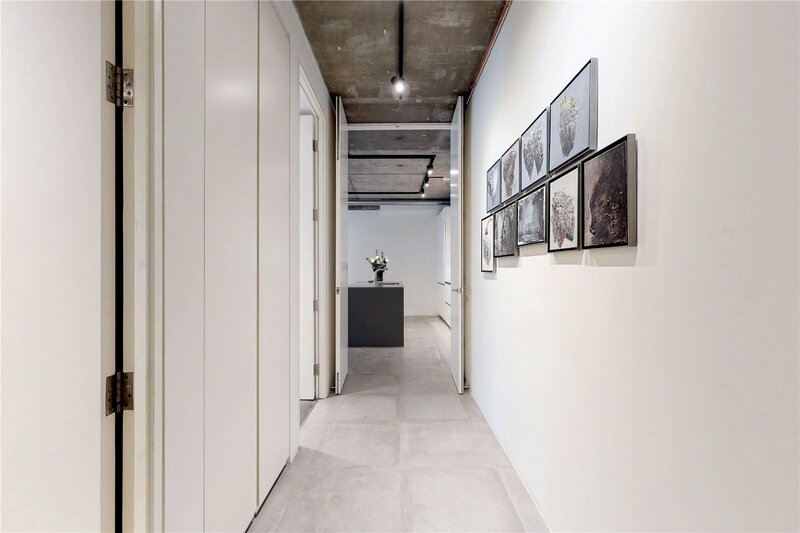 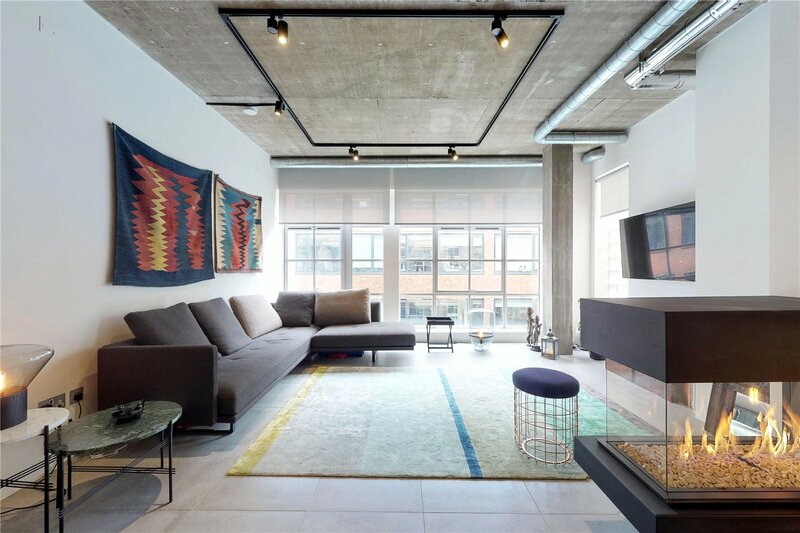 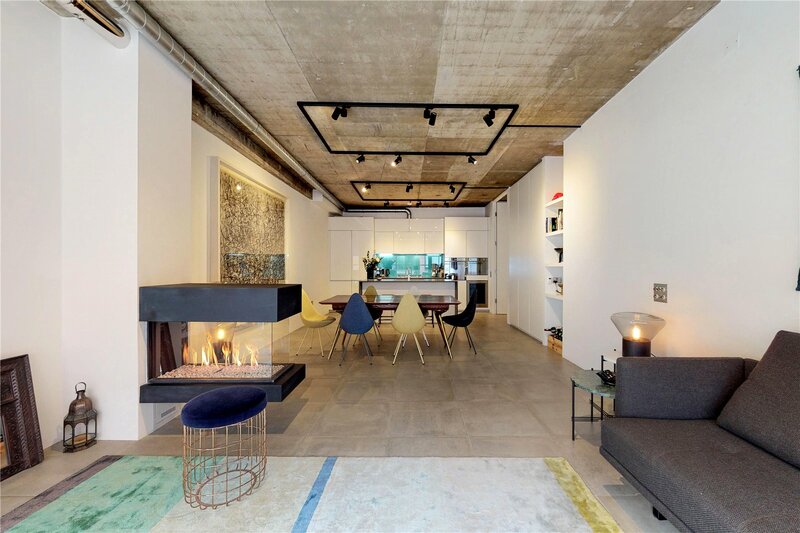 Ample storage allows everyday items to be hidden away leaving the exposed concrete, vents, and high ceilings to be the main feature of the room. 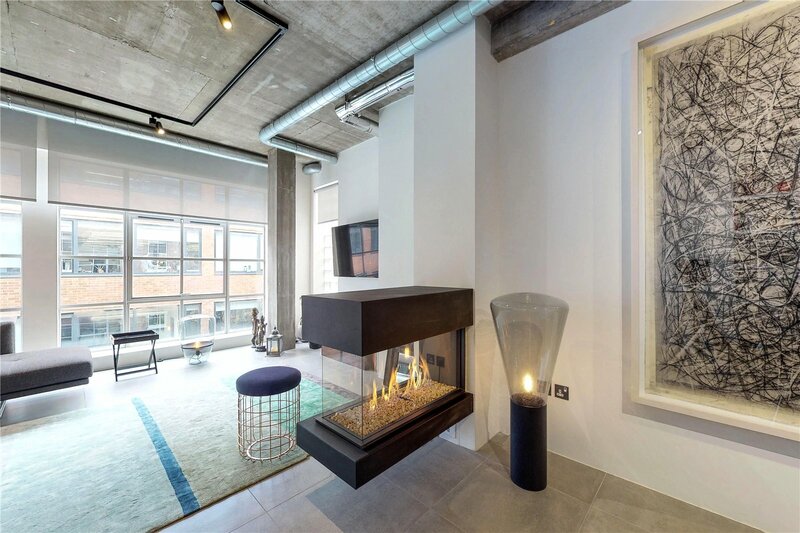 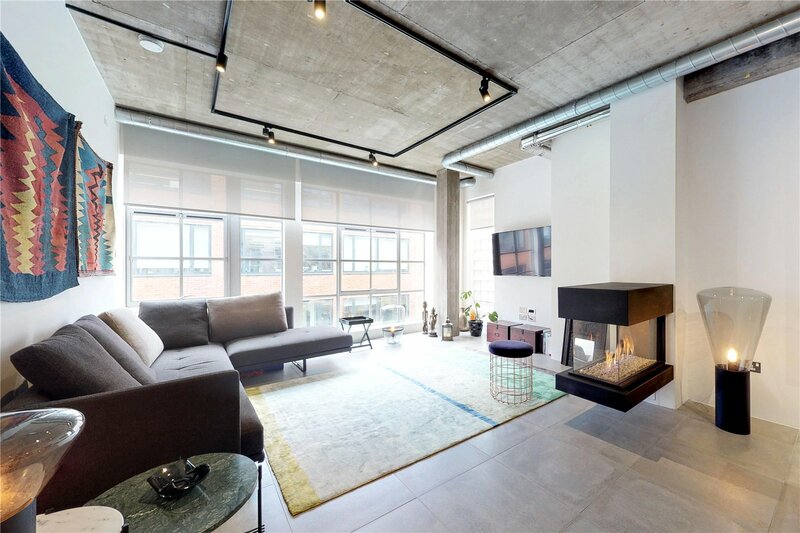 This paired with stylish furnishings, a glass fireplace and a minimalist presentation make this one of the most chic apartments on the market. 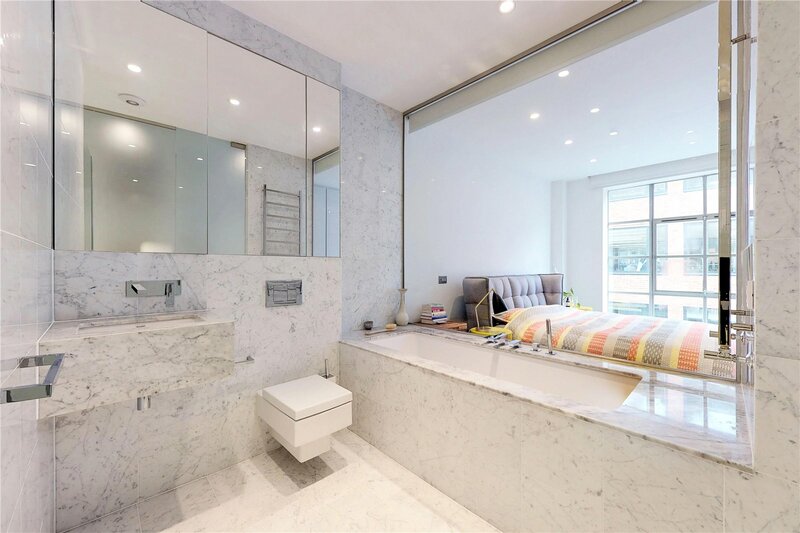 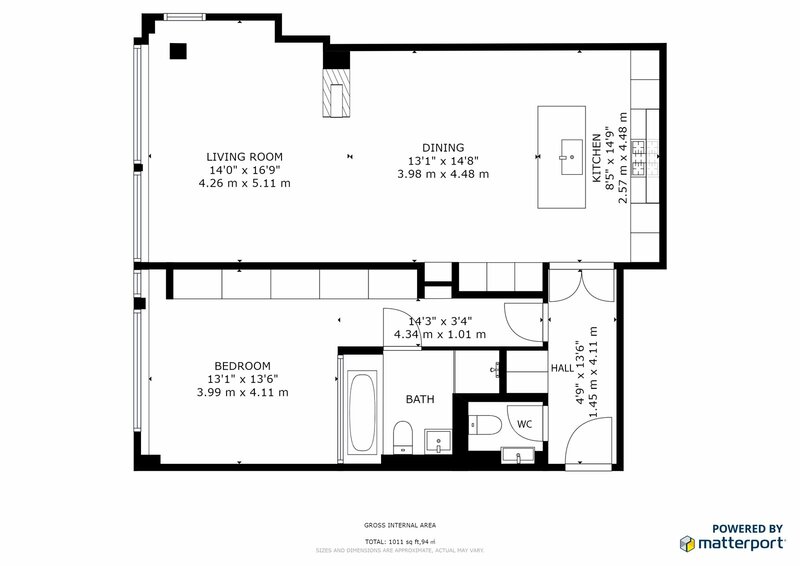 The flat further comprises a guest loo off the hallway and master bedroom housing additional storage/wardrobe space and a sizable en-suite with bathtub and walk-in shower. 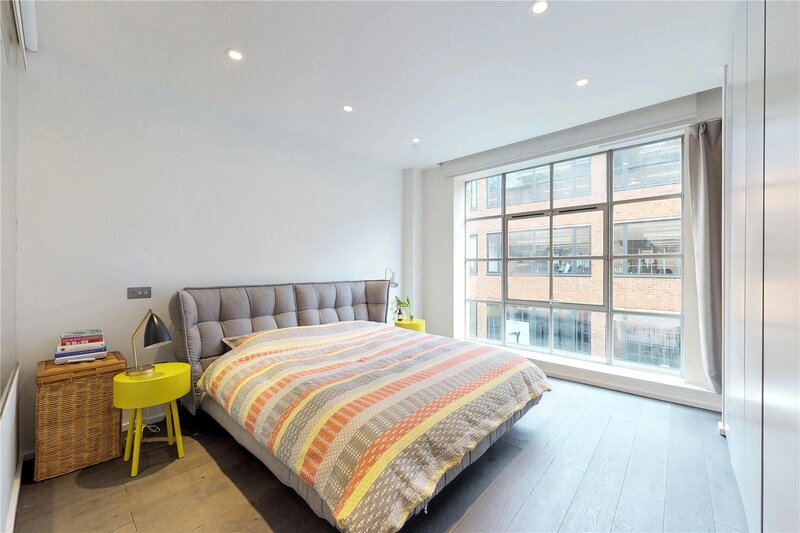 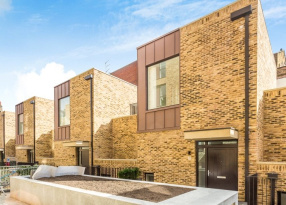 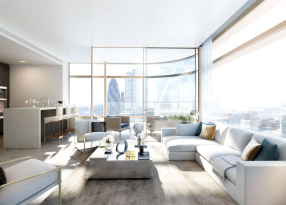 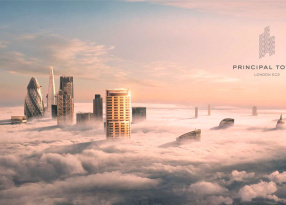 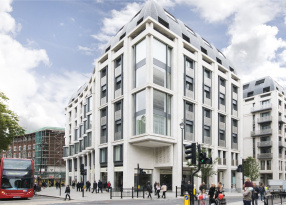 Nearest transport options include Barbican Station for the Hammersmith & City, Metropolitan, and Circle lines in addition Farringdon Station for national rail services and the highly anticipated Elizabeth Line. 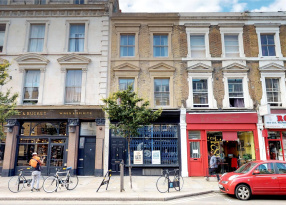 The city is merely a short walk away as are there numerous bars, restaurants, café’s and arts centres within the area. 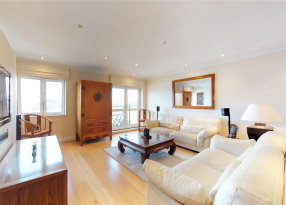 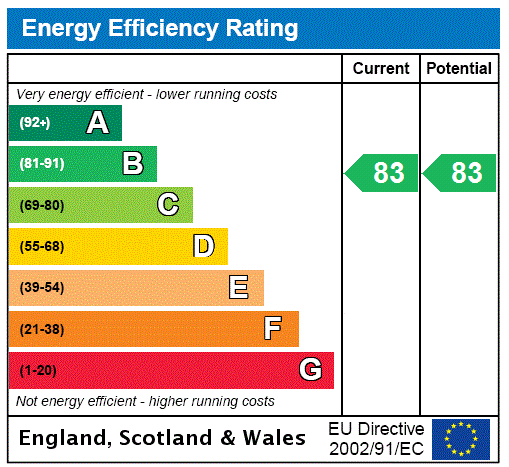 The property is offered chain free and with the added bonus of secure underground parking.